Vaguely inspired by Company of Heroes' map Industrial Riverbed. 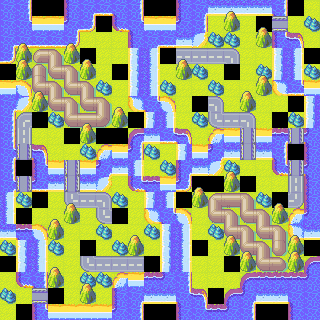 This is a really, really well-made map. I really like the property distribution. transfer pretty well to this one if you understand the mechanics of both games. to be a bit too tank-spammy in practice. Comm towers + 2 bases + no airports = tank spam heavy maps.